Every now and then I find a product that makes me grin from ear to ear. And these whimsical teapots are one of those finds. 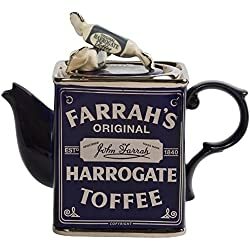 Made by Ceramic Inspirations, also known as The Teapottery, in the Yorkshire Dales since 1978, these stunning-to-look-at teapots are whimsical, eccentric, totally English and - best of all - fully functional! If you're wondering why I'm harping about that in particular, it's because it makes them more than a pretty, quirky gift. It makes these beautiful creations something you can use every day, something that will keep the person who gave you the gift uppermost in your mind. 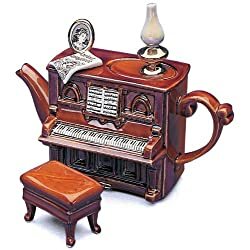 Quirky, decorative teapots are nice if you like to collect these tiny artworks. But in my book nothing beats an amazing looking teapot you can actually use. Below I've picked out some of my favourites from the company's range. I'd serve tea in some of them, but not in others. It's probably easy to guess which is which! This is a classic and firmly on my wishlist. I'd serve tea in this one. Not sure if I'd work with that on my desk or just sit looking at the details! For cats, mice and Wallis & Grommit fans everywhere! 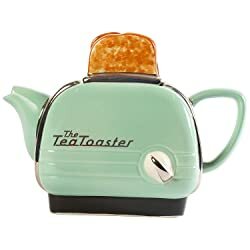 For everyone who needs a slice of toast with their morning tea. 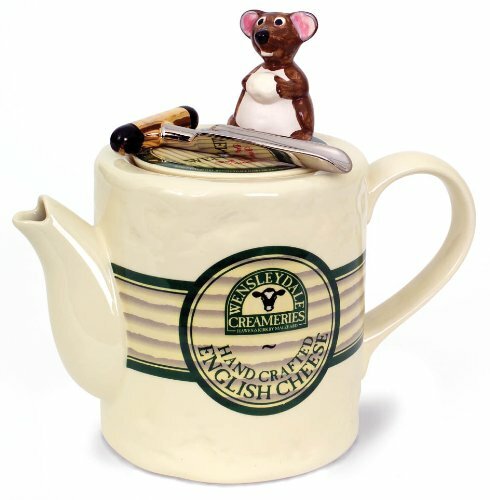 The craftsmen at Ceramic Creations make all kinds of teapots, from single serving ones to 4-cup betty pots and anything in between and over the years they've been asked to create teapots featuring cars, animals, furniture... and other famous English brands, of course. 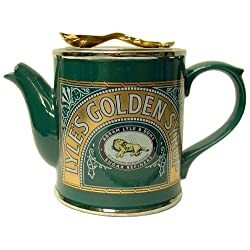 I'm not entirely sure if I'd ever serve tea from a Colman's Mustard or a Marmite teapot, but there are plenty of other eccentric teapot designs for you to choose from. On top of being pretty and functional, Ceramic Creation's products are also hand-decorated, so no two are ever completely the same. 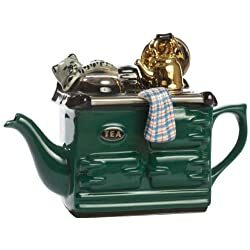 So if you wanted a gift that's made in England, unique, eccentric AND useful... look no further than a whimsical teapot! For other traditional or eccentric English gift ideas return from Whimsical Teapots to the Products Made in England page.